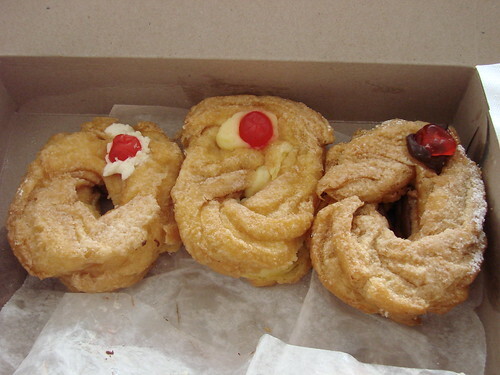 According to Tullio from Milani's "We are making them all day everyday until wayyy after St. Joseph's, so people have plenty of time to enjoy one or two dozen." The chocolate zeppole with their deep dark chocolate pastry cream filling reign supreme. Milani's is just a quick 20 minute drive from New Haven proper, so might I suggest getting a Zip Car, loading it with some friends, hitting up New Haven for some pizza and then Milani's for dessert.